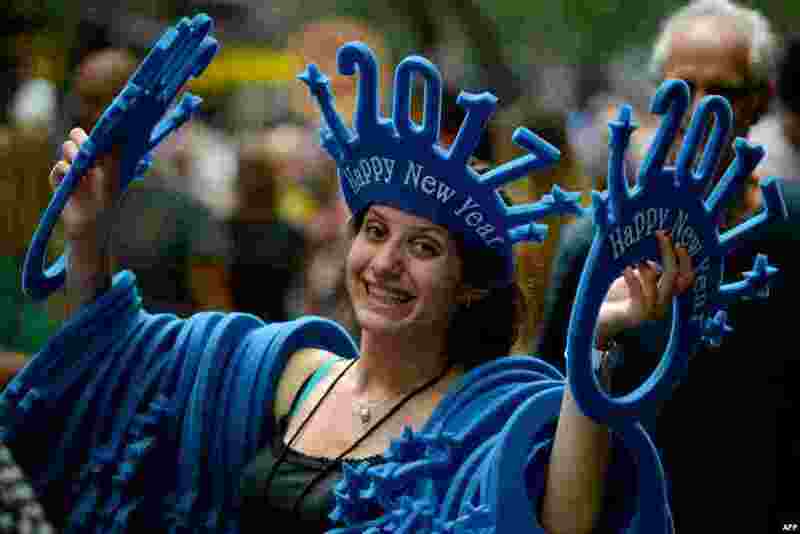 1 A woman sells "Happy New Year 2017" headwear on a shopping street in Sydney, Australia. 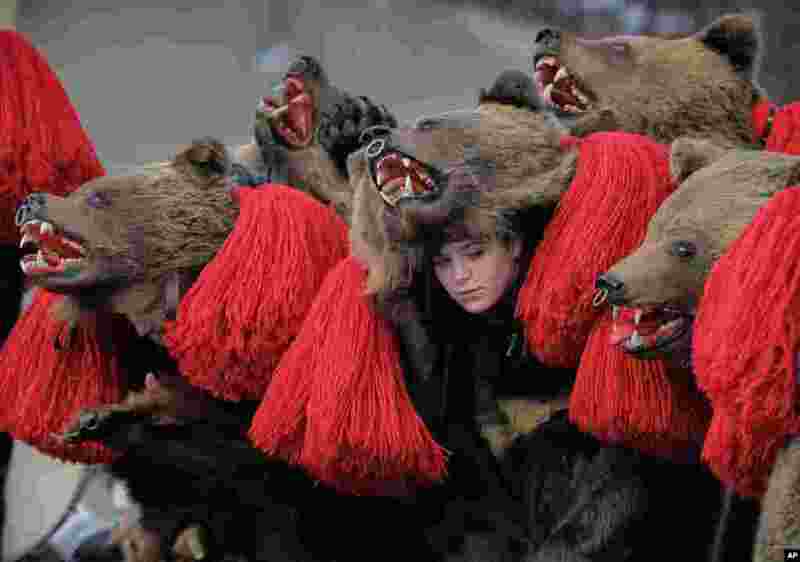 2 People wearing bear fur costumes dance during the annual bear ritual gathering in Comanesti, Romania. 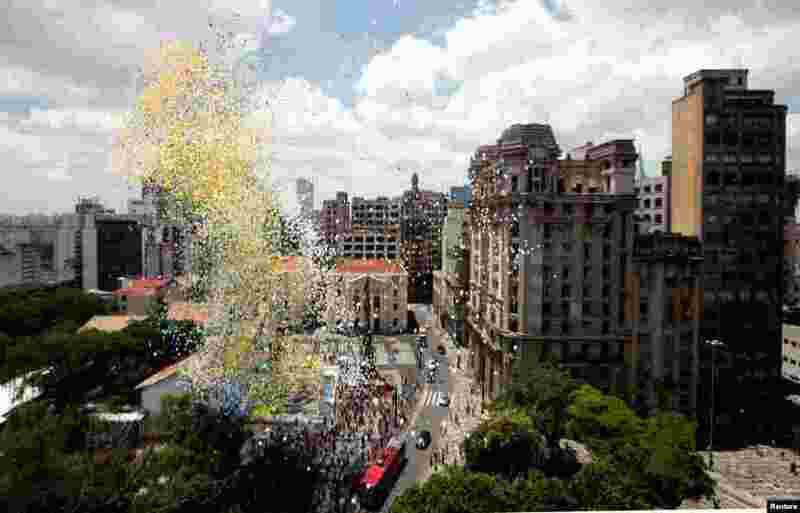 3 Balloons are released into the sky as part of the year-end celebrations in downtown Sao Paulo, Brazil. 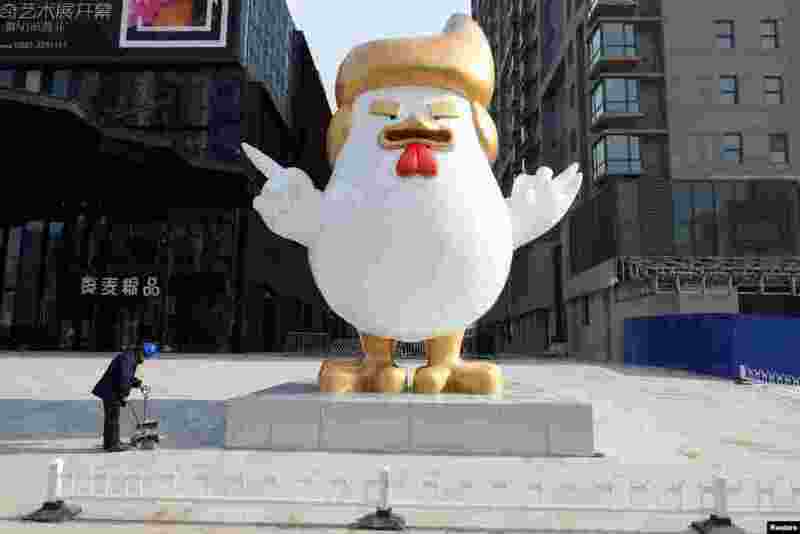 4 A sculpture of a rooster that local media say bears resemblance to U.S. President-elect Donald Trump is seen outside a shopping mall in Taiyuan, Shanxi province, China.